Watercolors are done on rag paper. 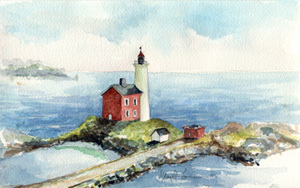 Sizes range from 5"x 7" to 18" x 26", prices $75 to $450 unframed. Contact George for further information.